Pepino is a beautiful male with strong technical qualities. 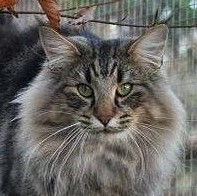 He has a marvellous NFO look, excellent ears with big lynx, fantastic coat quality and beautiful 22 pattern. 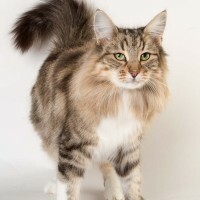 Pepino has a great temper and is a kind and friendly male giving fantastic kittens in earlier litters. We are very grateful to Pepino’s breeders and owners Cecilia and Thomas Gylling, to let Martine meet him. Martine is our own very special girl, with a fantastic temper and a curiosity that can have its challenges. She has strong technical qualities too, her ears are close to perfect, she has a long body and tall legs, fantastic coat quality and her green eyes are to die for. She is the mother of our S-litter – 5 wonderful kittens with very strong results at shows. For us this Is a dream combination, as these two completes and strengthens each other’s qualities. We have great hopes for this litter.